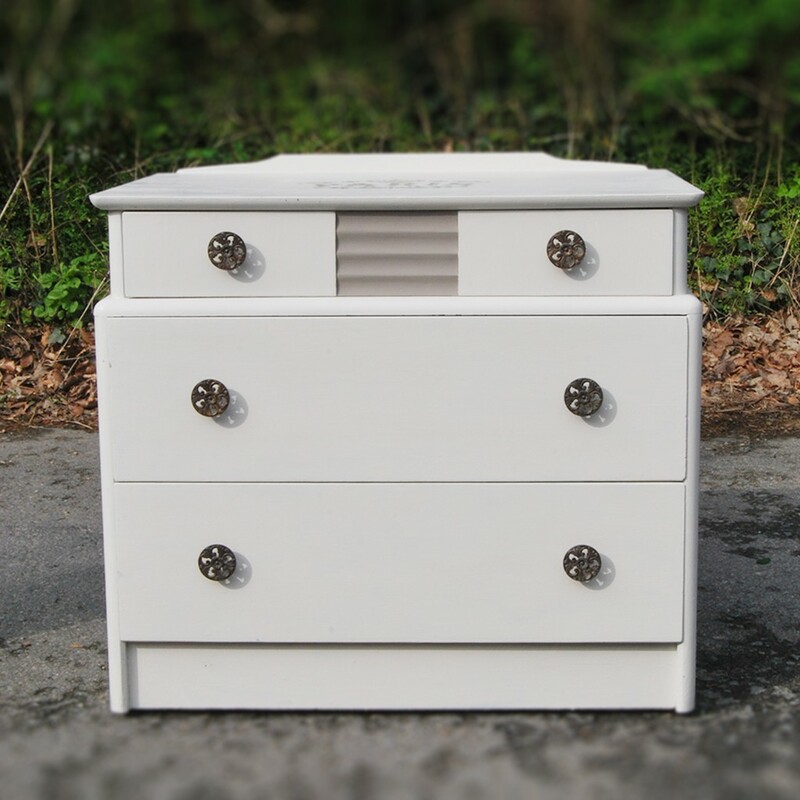 Vintage, Art Deco style, 3 drawer chest of drawers. Painted in Fired Earth Canvas and Amber Gris with and added Paris stencil detail on top. Sill has it’s beautiful original knobs. This set of drawers have now been SOLD, if you would like a similar set of drawers get in touch, we have a taller version of these in stock waiting to be reloved and rehomed! Thanks for your message, how did you find our site? I only ask as it’s just newly published. I can look into a courier for you as I don’t currently have any trips to London booked. Could I please have a postcode so that I could look into the courier costs more effectively for you?